Thank YOU for downloading your free gifts and joining the transformation contest. Please make sure you watch the video below to get started! Also make sure to check your inbox as there is a message waiting for you with some very important information! Third Prize: $25 Cash Plus My Next Workout Program FREE! Please Click The Big “Share this on Facebook” Button Below And Share This Contest With Your Friends! Please click the Link below and join our Exclusive Superhero Body Facebook Group. This will help hold you accountable throughout the contest! Please Click HERE To Join Us On Facebook In Our Private Group! To save, right click the Image Below or Link and click ‘Save Linked File As’ to save a copy to your desktop! Exclusive Offers For The 6-Week Contest ONLY! If you are looking for a way to “Level Up” your workouts and nutrition, then the simple pack I have put together for you below is there to help get you started to ensure you have the most success on your 6-week transformation. 2-Week Deadline Diet: This is the diet I always have my clients and myself finish things off with as it is designed to eliminate that last layer of fat. You can use this for the full 6-weeks, however, I will say now… Be prepared! AT2 Workouts: Some of the best and most intense workouts I have created. Each workout is very unique and last just 11, 14, or 16 minutes! No Excuses Workouts: 100% bodyweight workouts that can be done anytime, anywhere. Don’t let that fool you though… These are TOUGH! Separately, these programs cost $39.89, however TODAY you can get all three programs listed above for the ONE-TIME low price of just $19.95. That’s over 50% off the normal price if you were to purchase separately. 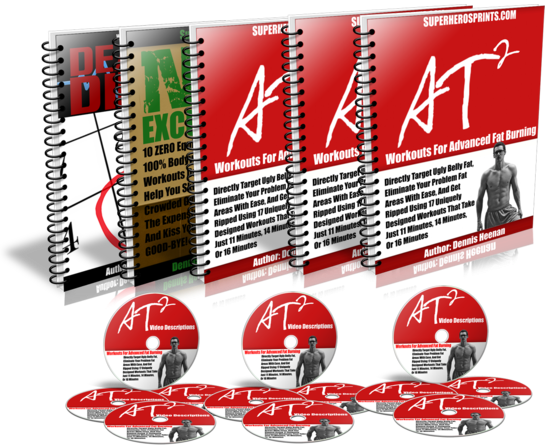 Having these programs in hand will set you up for great success as you go through the 6-week transformation contest. 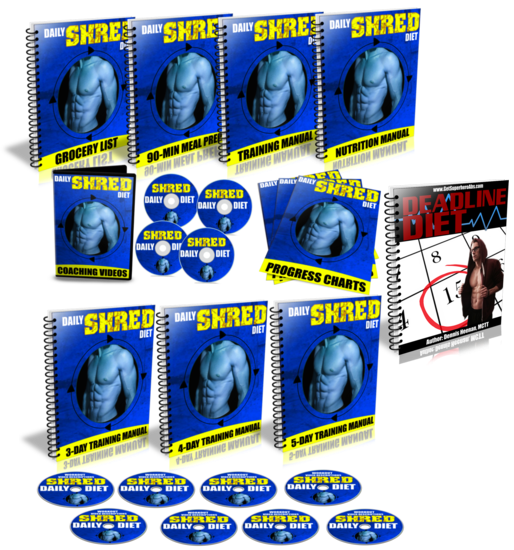 Daily Shred Diet: 30-Day Fat Burning Plan designed to get you lean while allowing you to build up lean muscle. 2-Week Deadline Diet: This is the diet I am going to finish everything off with. It take the word SHRED to a whole new level. I will warn you, this is a challenging plan, however, it will finish your fat off right in those final two weeks! 3 Phase Workout Piece: This includes workouts plans that can be done 3, 4, or 5 days per week. The workouts are outlined right there for you so you never have to wonder what you should do next. If you were to buy these separately, they would come out to be $60.95! However, because you took action on the Superhero Transformation Contest, I’ve decided to discount this by over $25 off. TODAY ONLY you can get this complete Accelerator Package for just $34.95. Plain and simple. One single payment of $34.95 and you will be set to get your health back on track in just 6-weeks! 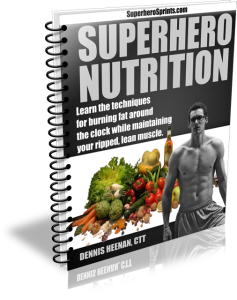 Superhero Body: My most popular program that is designed to take you from bodyweight exercises and progress you to weighted exercises, fast. This is an incredible progression program that many have gone through with immense success. Learn more about the Superhero Body Here! Superhero Abs: 51, 100% bodyweight workouts that take anywhere from 4-20 minutes to complete. These are perfect for busy individuals or to add at the end of any workout. Click here to check them out. 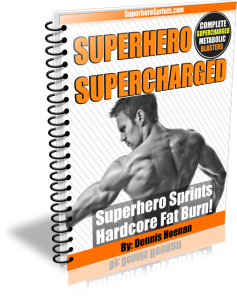 Superhero Sprints: 6-weeks, 100% bodyweight only workouts that utilize the most powerful fat burning exercise on the planet: sprints! In these super intense workouts, we use sprints and strategically placed bodyweight circuits to blast fat fast. Learn more here! Step 3 — Find a room where there’s good lighting so it’s not too dark. Step 5 — Take a 2nd photo of you from the side. Step 7 — Take a look at the photos and make sure they’re not blurry or hard to see. If they are, re-take them. You’ll want a good picture of how far you’ve come on week 6, trust me. Step 2 — Try to wear the same clothes you wore in your before photo. If it doesn’t fit or you can’t, don’t sweat it. The Contest Sponsor’s rulings are final and without appeal in all matters related to this Contest and the awarding of the Prizes. The Contest is subject to all applicable federal, provincial and municipal laws and regulations. Contest Sponsor, its advertising and promotion agencies assume no responsibility for lost, stolen, delayed, damaged, illegible, incomplete, postage-due, garbled or misdirected entries or entries that have been submitted through illicit means, or do not conform to or satisfy the Contest Rules or for any problems or technical malfunction of any telephone network or lines, computer on-line systems, servers, access providers, computer equipment, software, failure of any entry to be received or traffic congestion on the internet or at any website, or any combination thereof including any injury or damage to an entrant’s or any other person’s computer related to or resulting from playing or downloading any material in the contest. If you enter, you may be added to the Fat Burning Nation email marketing list. The Contest Sponsor reserves the right, in its sole discretion, to modify, cancel or suspend this Contest should an external circumstances arise which are beyond the reasonable control of the Contest Sponsor. The Contest Sponsor is not responsible for any errors or omissions in printing or advertising this Contest.